Good news! The new Team Diamond shirts have arrived and I couldn't be more excited. I know, I know, you're thinking, "...but they're only t-shirts." Well, that may be true, but it means so much more to me. Here, let me explain. Let's start from the beginning, shall we? In WorldVentures, the company I promote, representatives tend to build their businesses in packs or teams. I love the concept because I was always of the opinion that we can do so much more together than we ever could apart. In 2012, when I joined the club, there were two main teams: Team Vision, led by Carlos Rogers, and Team S.W.A.G.G., which is led by Dwayne Lodge and Lee Morgan. Both teams are actually related, with Team S.W.A.G.G. falling under the leadership of Team Vision. To a large extent, at least in the beginning, Team S.W.A.G.G. consisted of members within North Carolina while Team Vision was more on the national scale. Both have grown over the year and expanded beyond those borders. My team, Team Diamond, started around June or July of 2012. My friends and I wanted something that we could call our own. Following in the footsteps of our leadership, we wanted to brand our team and build momentum where we were. Most of us lived in or around the Raleigh/Durham area. Because the other teams were so much larger than us, by having our own team we could give recognition and support in a more intimate setting. As a result, we started having our own team conference calls (each Sunday night at 8:30 pm), email list, Facebook group, and team outings that we labeled LEAP Events. LEAP stands for Learn, Earn, and Play. What Is The Meaning Behind Team Diamond? Many of the "founding" members of Team Diamond were also members of Kappa Alpha Psi Fraternity, Inc. Using the diamond made sense because of the fraternity's relationship with the jewel. 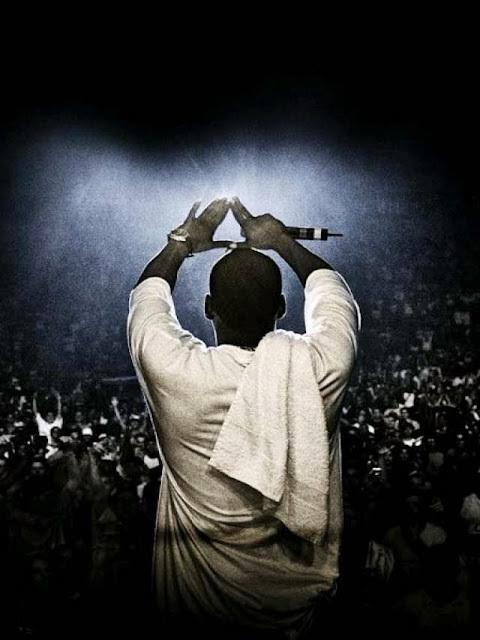 The diamond represents excellence, achievement, and distinction. We all want to enjoy the finer things in life and the diamond is a reminder of that. The two smaller diamonds resting in the "D" represent Fun and Money. Because WorldVentures is known as the Fun & Money Club, we wanted to show that our team is apart of the one big team. In the middle of the words "Team Diamond," there is a small diamond with the letter "V." This is the logo for Team Vision. Similar to the Fun & Money Club, we wanted to pay homage to the team that covers us all. On the back of the shirt, it reads, "Achievement At Its Highest Level." Again, this is a reminder that team members are about achievement in everything we do. We don't want to just do enough to get by, we want to excel and enjoy life to its fullest. It's about those peak experiences. 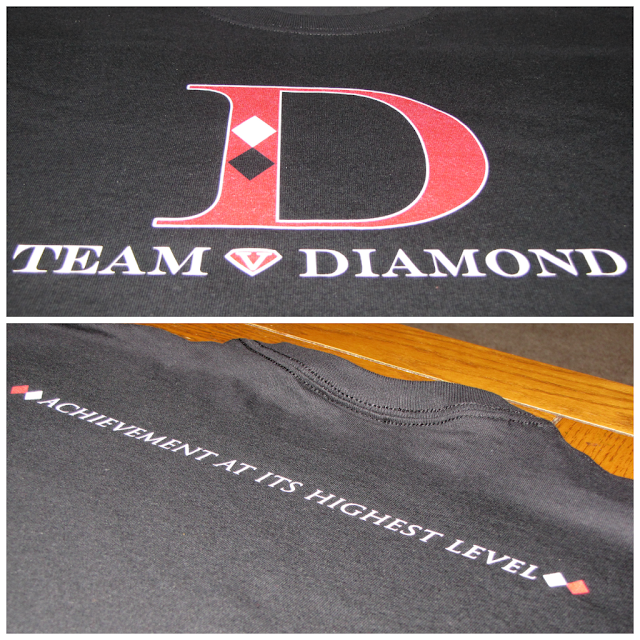 This t-shirt is available to anyone that joins Team Diamond. People who buy it should do so because they believe in what we believe. They should take action everyday to achieve at the highest level and in everything that they do. Whether it be at work, at home, or at play, we strive to be the best. This is a shirt that may prompt questions like, "What is this Team Diamond?" In turn, members can use that opportunity to talk about the club, the team, and lifestyle we lead. This shirt should also be worn at national and local events. It shows solidarity among members and is a representation of our growing team. Based upon the success of our branding efforts here, I can see us adding additional items like hats, sweatshirts, and even backpacks. Yes, exciting times! So, put on your shirt and throw your diamond in the air. Let's go! For more information on how to join Team Diamond follow the Fun & Money Club links below. To get your t-shirts, hit me up at damondnollan@gmail.com.